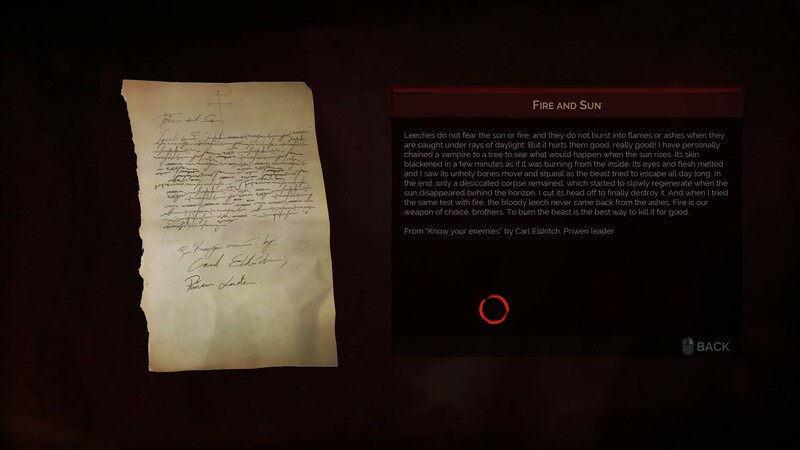 Gothic, brooding, and filled with both the shambling undead and a series of deep characters with their own interconnected relationships and hidden fears and desires, Vampyr's Pembroke Hospital is a microcosm of everything that Vampyr wants to be, and the game is at its strongest point as you escape the rain by exploring the sprawling hospital. 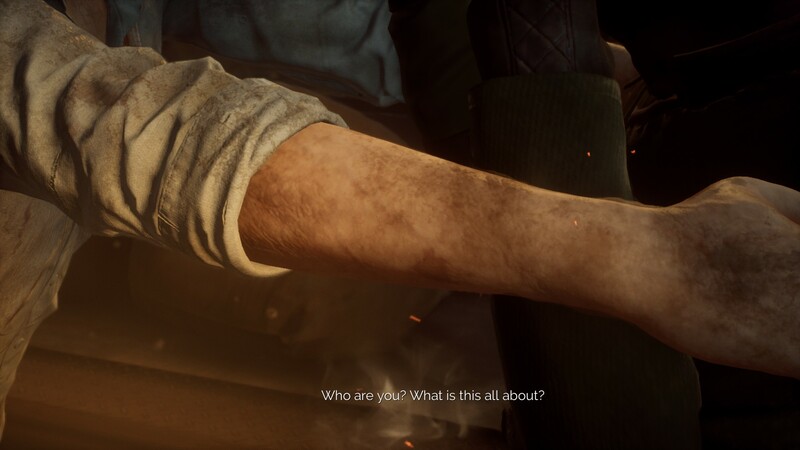 It's here, shortly into the game, where a lot of Vampyr's real themes come into focus, and it's here where Vampyr first tries to push you into taking someone's life. 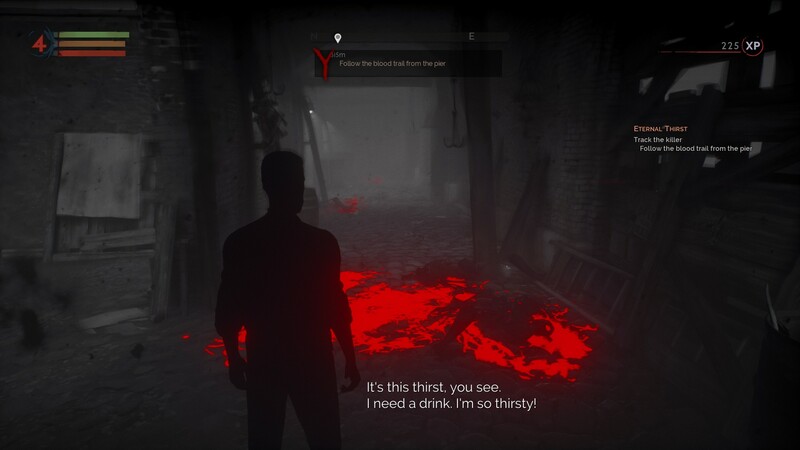 Vampyr's core is the duality within your character. Dr. Jonathan Reid is a surgeon of some renown, a man of medicine for whom the means sometimes justify the ends. That's before he gets nibbled by a Vampire, wakes up, and has a whole host of new problems to deal with, starting with sunlight (which burns now) and extending to vampire hunters (way more interested in shooting you with handguns now) and a near uncontrollable thirst for blood. The last one is, surprisingly, the big kicker. How does a man of medicine deal with the demands put upon the 1918 vampire? 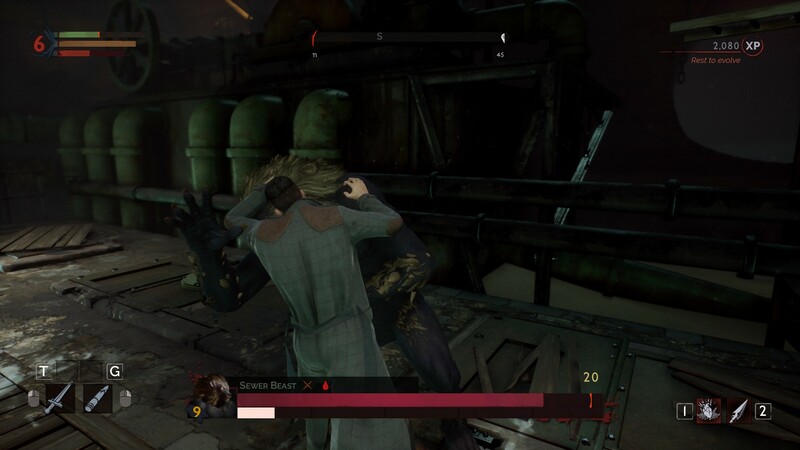 Mechanically, the temptation is offered up in that the best way to get experience is by feeding on the innocent civilians that are cowering in Vampyr's London, trying to make their way through life in the influenza-stricken streets of the big smoke. This injection of experience translates to new skills and levels of experience that make the game that much easier to play, and the game is quite open in offering up this temptation. 'If you're struggling, why not chow down on a civvie? ', the game asks, cheerfully throwing you into harder and harder fights. The reason you don't want to is that anyone you gnaw on will vanish forever, impacting the community as a whole but also those who know them. Pillars of the community will give the biggest rewards, but taking them away will also have the largest impact. Considering London's districts can actually collapse, becoming utterly devoid of human life while feral vampires roam the streets, you need to be picky about who you take. During my playthrough I found myself completely unable to feed on anyone - the fleshy bags of experience just had too much personality, which meant that I had to grind out a bit more combat – snacking on a few rats for sustenance – to keep up with the heavy combat in the game. However, if you do want to snack, the quality of each character's blood is improved the better that you know them, so finding out all of their secrets makes them a better grab for experience. You also improve the quality of their blood by curing any maladies they might have picked up, so if you do want to take a bite out of someone, first you'll want to cure their headache and ask how their relationship is with their boss. 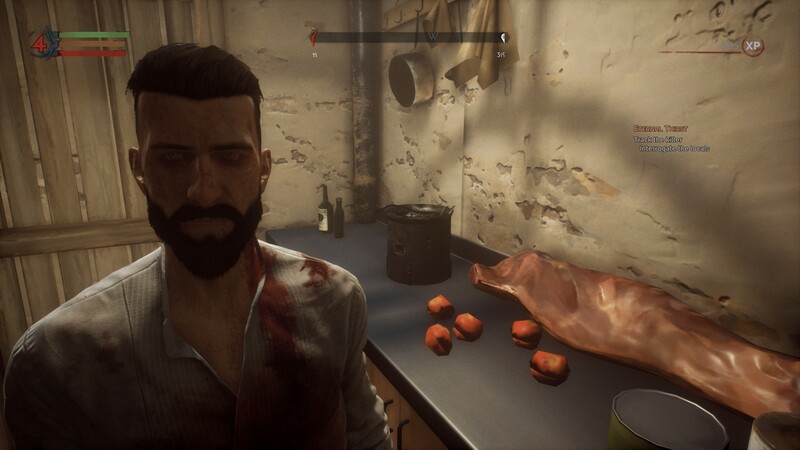 Honestly, this is the exciting part of Vampyr, and the constant juggling of whether to help or harm (or to help only to harm later) elevates a game that, in many other ways, is rough around the edges. Vampyr's combat is fine, recalling Souls games but without the tightness that the series is known for. The lock-on button will quickly become second nature when using the guns in the game and many of the ranged powers, but otherwise it can be tough to land attacks, giving the combat the grace of a car-park brawl. However, that doesn't mean it isn't a whole lot of fun, teleporting around the place and flailing away with bonesaws, firearms, and your vampire-abilities, stopping every now and again to stun someone and bite them to heal up and recharge your stamina and blood supplies. Sadly, considering how often you brawl in the game, it never quite gels, although it does become more interesting after you've picked up a few skills. 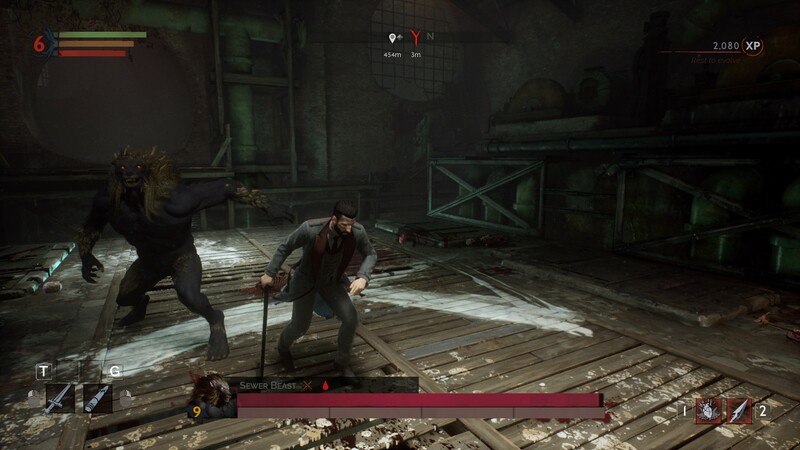 The fights tend to favour fewer combatants and a longer lasting fight, and while the vampire hunters you face off against will often go down easy, feral vampires and the game's boss fights are slobberknockers, prolonged fights where blood, health, and stamina management are essential. If it gets too hard, you can always drain an innocent soul for a boost of experience, right? 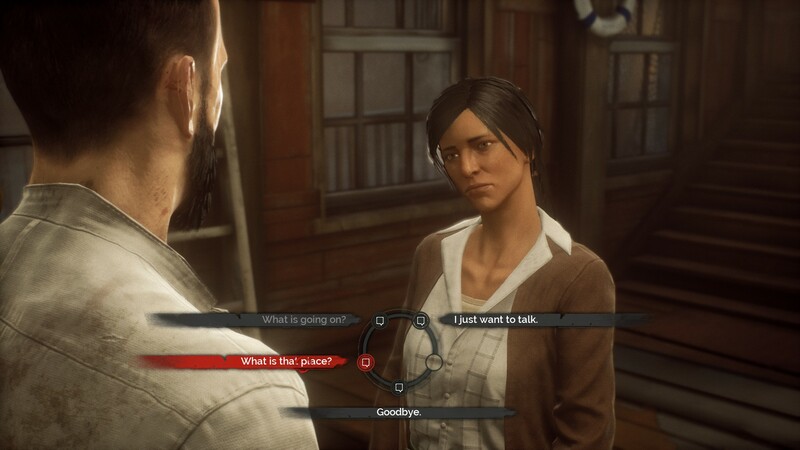 The game's narrative is often hammy, but the worlds that the writing creates is fascinating, and the way that science is blended into the vampire myth actually is engaging. Most characters have a lot to say and strong characterisation. One character made me challenge my own pacifism with how much of a massive scumbag he was, but I ended up treating him and sending him on his way, hopeful that he wouldn't kick too many puppies after I decided I still couldn't kill him. 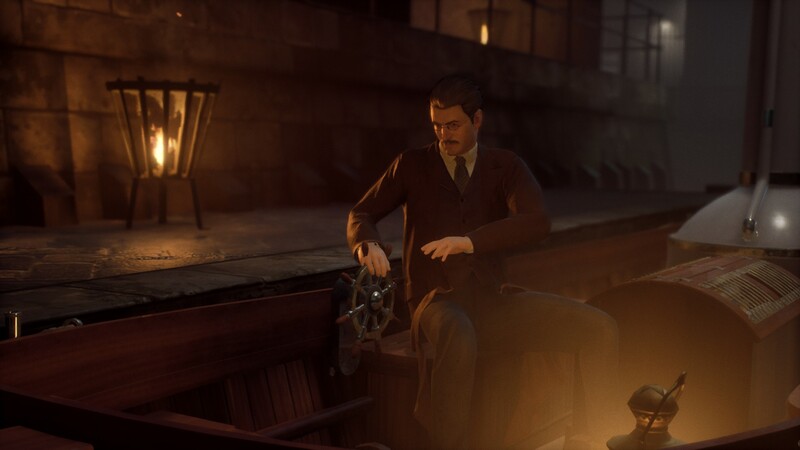 All of this, and an excellent soundtrack, help to build an atmosphere that make you want to keep playing, but the biggest struggle with Vampyr is that it is ponderous and slow. Getting anywhere with it feels like a labour, but importantly if Vampyr clicks for you, it's worth it. It's a Gothic vision of London that is innovative and interesting, and although a lot of the game's elements suffer from middling execution, it's clear that Dontnod has put a lot of thought into the game, and it's interesting to see the lines blur between action and narrative. Although whether I'll be able to go through with it and actually drain someone? That remains to be seen. Rick speaks to DontNod Entertainment about its ambitious follow-up to Life is Strange. Jake feeds back information from Dontnod's forthcoming vampire RPG.